Away in the Manger is a popular Christmas carol from the mid-nineteenth century, thought to be American in origin, though the author remains unknown. 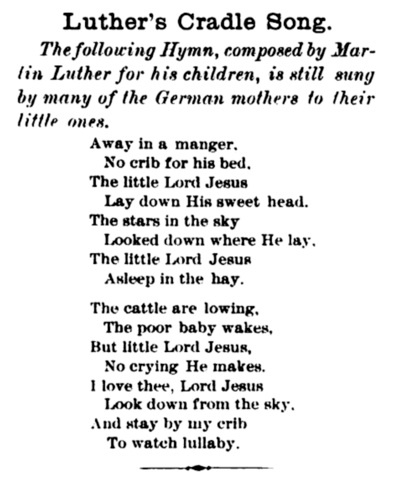 Martin Luther composed a hymn with similar lyrics, still sung by German mothers to their babies. 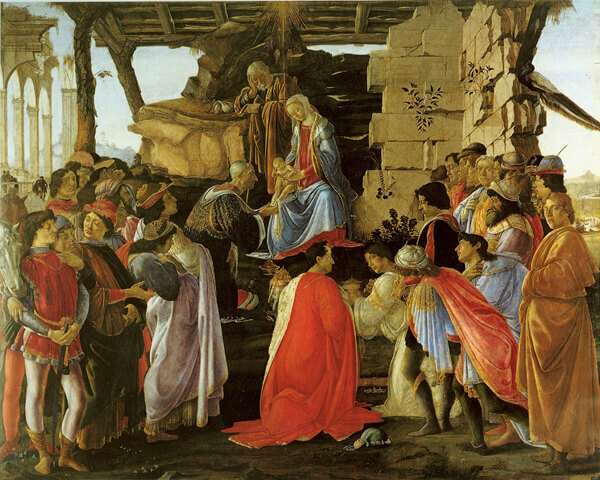 The carol's music was composed by William J. Kirkpatrick (1895) and James Ramsey Murray (1887). Included in our selection of Christmas Carols. Add Away in the Manger to your own personal library.